Another race inspired part from K-Tuned. 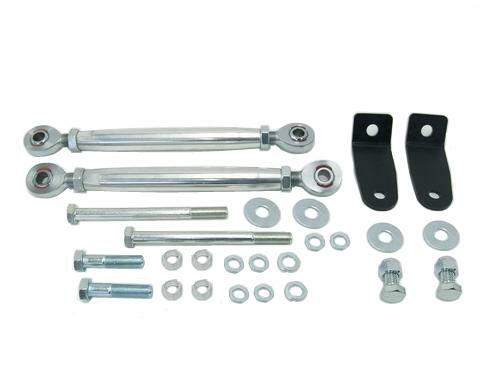 Front Stabilizer Bars are designed to be used with any of our Traction Bars to add additional support to the front suspension. These are what hard-core racers with 88-91 Civic / CRX race cars have been asking for. The additional supports mount to the back hole of the front LCA and then link to the floor frame rail. The bracket in this kit is mounted using one existing subframe bolt hole,the other bolt location needs to be drilled through the floor frame rail and bolted up. Add this kit to any existing K-Tuned traction bar to make it a race setup. 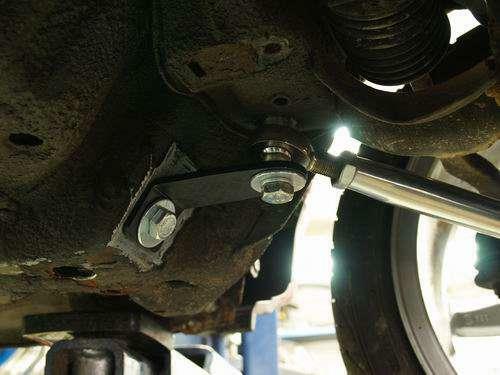 Will NOT fit with front sway bars.